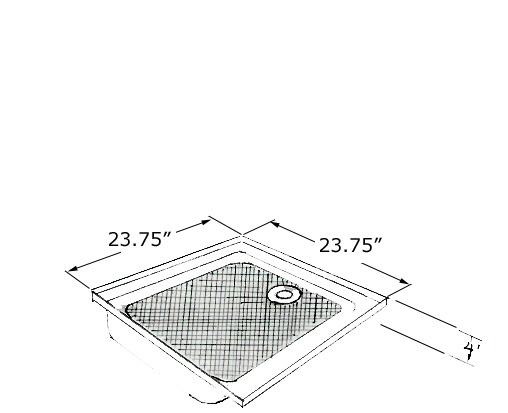 Fiberglass shower pan 23 3/4x23 3/4x4. Shasta `82. Honeycomb design floor. 2" drain dent. No leveling pan. Lip goes up 1 3/8" on all 4 sides; Available in colonial, also available in polar white fo an additional fee.